10 colourful reusable baby wipes. With a waterproof bag, with a zip fastening. 10 colourful reusable, washable baby wipes and a mini wet bag. Made with absorbent and naturally antibacterial bamboo. Measuring approx 7" x 5". 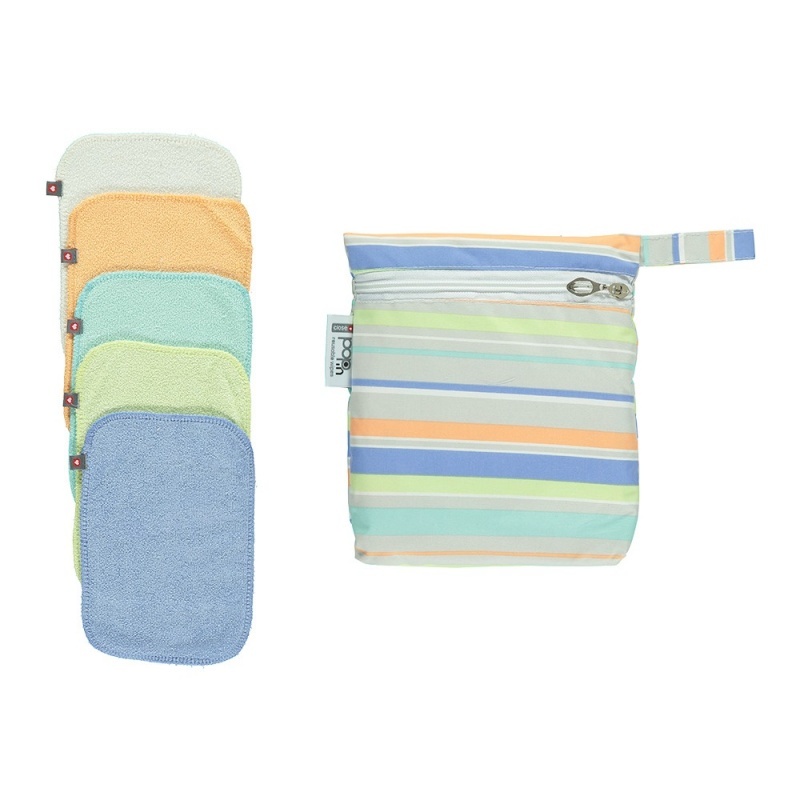 Includes a mini wet bag with a zip fastening. This sent comes with a little waterproof tote bag. Which can be used for storing the wipes in either before or after use.